Bill Moritz serves some of the best photographers working today through his store, Pro Camera, in Charlottesville, Va. He not only buys and sells photographic equipment, he is also a certified Leica repairman and an excellent fine art photographer. 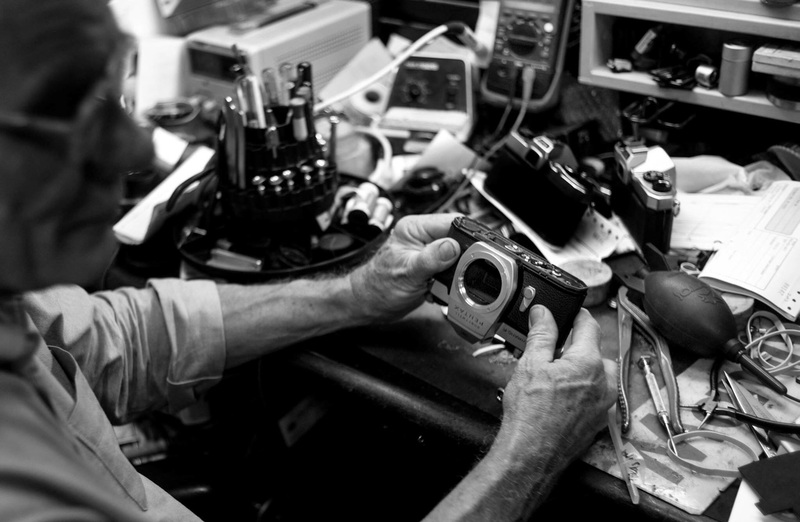 Today he works on a classic Pentax camera body.